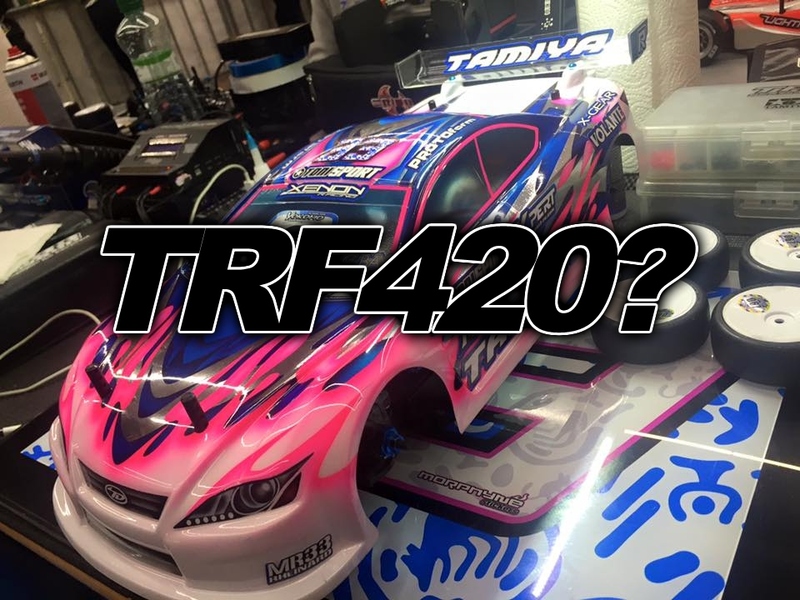 So the rumours are out about the new TRF, and more are surfacing from the ETS race this weekend. The car is rumoured to have low profile towers and short shocks (Black TBEvo6 ones, and new shorter blue ones that are X-Ray style have been seen). The bulkheads are lower and narrower than the TRF419. The car however is running wider suspension blocks. There is also a motor mount that is similar to an X-ray. Pulleys, plastics etc are the same. So it's an interesting mix, but all race cars are influenced by their competitors, like any recipe it is always how things are put together that can make a fantastic result. It goes without saying that the car is still a long way from being released, with several configurations of cars being tested to see which works well. It does look however that Marc Rheinard is really putting in some great times and at the moment has TQ at the event.